Number 65- Resilience with Print Release! So, after several requests, this next 100 Drawing will be available as an open edition print, as the original has sold. Many people have expressed dismay over missing new small drawings when they become available, so this is an opportunity to get your hands on a print of a drawing at an affordable price. “Resilience” is a high quality archival giclée print on bright white 100% cotton rag paper. The edition size is open, so there will be plenty for all. Each print is hand signed and ships within 2-3 weeks. Enjoy! Number 65 of 100 Drawings. To purchase other original artwork, prints or available 100 Drawings, swing by the store. 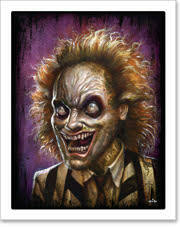 Archival giclée print on 100% cotton, each print is hand signed. Available for $34.95 plus shipping in the store here. I know it’s been awhile, but here’s a new one for your 100 Drawings enjoyment. This was commissioned on the back of the previous Avion Three, and as you can see, compliments the other I think, quite nicely. I’ve been grinding away on several projects, but hope to have more artstuffs soon for your ocular pleasure. A reminder, I post works in process in serveral places, including my Instagram account (@ncwintersart), on Tumblr, on Twitter and Facebook as well. Instagram may be your best bet, as it makes sharing works in progress the easiest. Enjoy! Number 64 of 100 Drawings. Here’s a side by side shot of both. A nice set, you think? I’ve been fortunate to be involved with 1xRUN as they are releasing a limited edition print run of my recent work “Overdrive.” The edition size is smaller: only 40 will be made, and the print size is 16″ x 20″. Each print will be hand signed and numbered, and comes with a certificate of authenticity from 1xRUN and me. The print will be available Wednesday, August 14th, at 12PM est. Purchase directly right here. Archival giclée pigment print, limited edition of 40, each hand-signed and numbered with certificate of authenticity from N.C. Winters and 1xRUN.